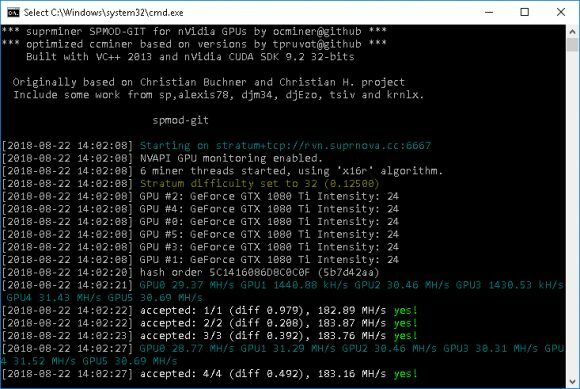 A new update from sp on his open source and free fork of supminer (ccminer) now called X16r/X16s/C11/X17 Spmod-git #11 (source) with added support for the X17 algorithm. 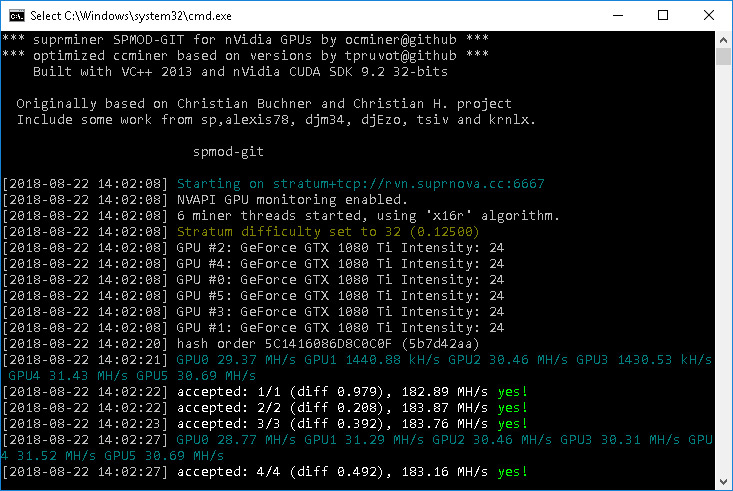 According to the developer the X17 hashrate is +10-15% faster than the ccminer alexis 1.0 opensource fork, so you might want to gie it a go for X17 altcoin mining. X16r and X16s performance has also been improved in the new version with 3-5% over what the previous release offered thanks to additional optimizations added to Fugue and Whirlpool that are a part of the X16r/s algorithms. We remind you that this miner is open source and comes with no developer fee built-in, meaning that all the performance you get is available to you and then there is also the source code available as well to learn from, modify and use to compile yourself. 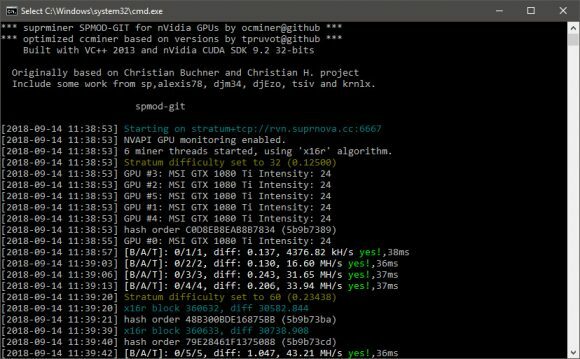 One more update from sp on his open source and free fork of supminer (ccminer) now called X16r/X16s/C11 Spmod-git #9 (source) as it is no longer only for X16 algorithms. As the change in the name implies the the latest update adds faster C11 algorithm support and the optimizations to it should make it up to 33% faster than before, making the performance on par with the other fastest C11 miners such as T-Rex 0.6.1 and z-enemy 1.17. 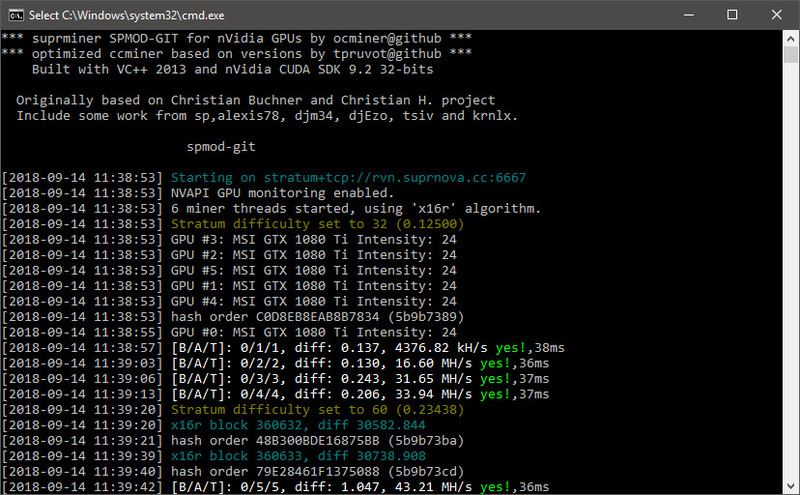 There are not only C11 performance improvements however in the latest update, it also comes with performance optimizations for X16 and X16S (faster bmw, shavite-cubehash), so better hashrate for these as well. 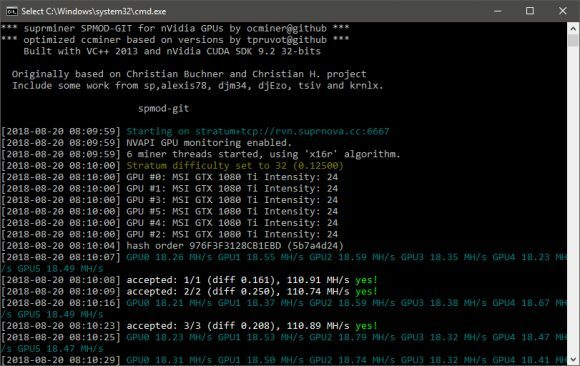 The biggest advantage of this miner is that it is open source and comes with no developer fee built-in, meaning that all the performance you get is available to you and then there is also the source code available as well to learn from, modify and use to compile yourself. 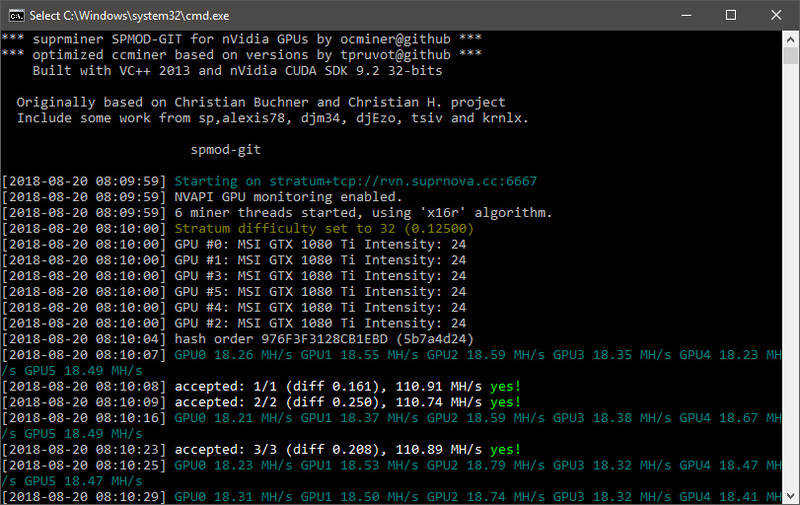 One more update from sp on his open source and free fork of supminer (ccminer) called Raven x16r/x16s Spmod-git #8 (source) with a bit more extra performance optimizations that should bring faster x16R/X16S with 5 to 7% over the previous release. It is always good to have competition, especially with open source code, though the z-enemy miner 1.16 released a few days ago seems to be a bit faster. As a recommendation to get the maximum performance with this miner you should try to overclock the memory 500 MHz or more (depending on your GPU) and mine with a fixed difficulty at the pool (normally set the difficulty parameter to around half of the hashrate of the mining rig), so for example for a 100 MHS rig you should set -p d=50 in the bat file for running the miner. There is also an upcoming fork for Raven (RVN) that should take care of the difficulty readjustment problems it is currently having, so you should keep an eye out for mining RVN to become interesting soon again and not only at times of low difficulty for half a day every few days.